Congratulations on your recent engagement! We want to thank you for considering the services JJB Entertainment has to offer. Finding the right DJ entertainment company for your reception can be the secret to a great celebration. With so many options out there for entertainment it may seem difficult to find the company that is right for you. We understand the importance of your wedding, through our personalized planning process, We will help you to create a stress-free entertainment experience. You and your family will cherish these memories for years to come. Make your first dance as husband and wife as special as everything else on your wedding day! Two left feet? Afraid you'll just "clutch and sway"? Why not start thinking about that first dance now? Jake has choreographed many wedding dances from waltz to foxtrot and salsa to cha-cha. Book your wedding DJ with JJB Entertainment and receive 2 FREE dance lessons for your first dance!!! 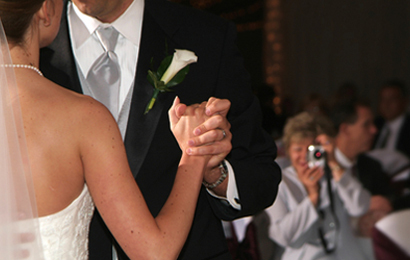 **Two Dance Lessons With Booked Wedding and 1/2 Deposit.